Martha decided to teach herself Black Dog. This is so full of win. Also, clicked through your user page and just read the Tintin cartoons - absolutely inspired and some of the best things I've ever read! 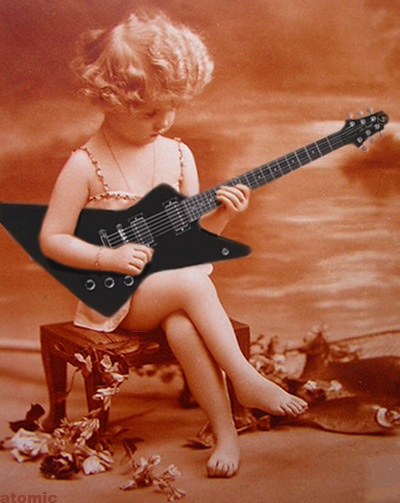 She's trying to learn the chords to 'Ferrous Gentleman' by Distinctly Overcast Sabbath.